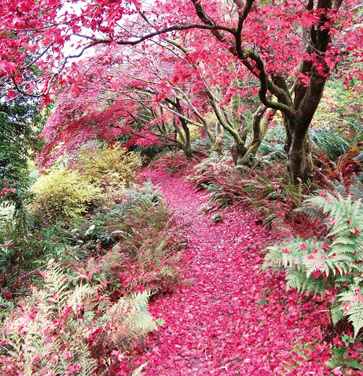 Brantwood has a series of unusual and experimental gardens laid out by John Ruskin from 1871 – 1886. Working with the natural materials of the site, John Ruskin developed various themes within the ancient woodlands and up on the high moorland behind his Arts and Crafts home. Later exotic plantings were added C1900, remnants of which have survived nearly a century of neglect. The renaissance of this unique garden at Brantwood House involves the restoration of its historic structure and ideas. Recent projects include the restoration of a spectacular and colourful Victorian ‘viewing terrace’ and the adventurous renovation of Ruskin’s ‘Zig-Zaggy’ – which takes the visitor on an unexpected journey through Purgatory to Dante’s ‘Earthly Paradise’. One of the loveliest sites in the Lake District, this dynamic garden provides plenty of fresh and thought-provoking ideas for everyone. Brantwood House and Gardens - 2019 - Open all year - see website for days and times. If you want to find places to stay near Brantwood, why not stay in one of our recommended hotels. Special prices up to 70% off standard rates as well as hundreds of exclusive deals. 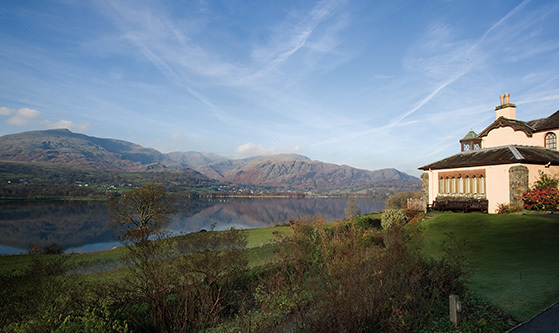 Brantwood Hotels - click here.